If you have never had a monthly beauty box subscription, you are seriously missing out! There is nothing more fun than opening the mail box once a month to find a little (or big) box of beauty goodies just for you. I might be slightly obsessed! It gives you a great opportunity to try new products you never would have heard of otherwise or products you wanted to sample before you make an expensive purchase. I have tried A LOT of beauty box subscriptions and what I have found is that they are not all the same! Before you sign up for a monthly subscription, make sure you are picking the box best for you! Everyone has probably heard about Birchbox before. I have been a Birchbox subscriber for over a year (they just sent me a gift in the mail for that!). They send you a wide range of products from high-end brands you know and love to (still high-end) brands you never would have heard of without Birchbox. When you subscribe you give them information about yourself and they send you products accordingly. It’s always fun to get a box and see what new things are inside! They also offer a Men’s box for $20 a month. Birchbox is great for trying new and up and coming brands and the products will always be high end! If you are interested in skin and hair care products as well as makeup and perfumes, you will be very happy with a $10 per month Birchbox subscription. FYI, this is my favorite beauty box! The idea of Ipsy is to put together personalized makeup bags every month to bring together the products to complete a look, like “girls night out” or “beach beauty”. Plus, they produce videos by a stylist to show you how to use your new products. But it’s not just a beauty box delivery, it’s also a beauty community for you to connect with other beauty lovers. Each bag, and by bag I mean a super cute new and different little makeup bag, includes 4-5 products of varying size for only $10 a month. Ipsy gives you a mix of high-end and drugstore makeup. Check it out here! If you are a self-mani giving, nail polish lover, you will love Julep Maven. They give you several style options to choose from to make sure they are sending you the nail polishes that most closely fit your likes. You can switch around from month to month if you like one of the other style profiles better. There are options where you get some nail polish and some beauty products, or all nail polish, or all beauty products. This subscription service is $20 a month, and you definitely get your money’s worth of high end product. Check it out here! 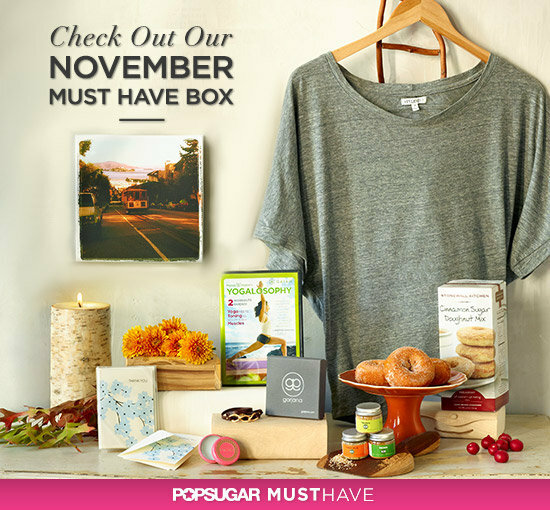 The POPSUGAR Must Have box is not your average beauty box. For a higher price tag, $35 per month, you get a large box in the mail full of all sorts of fun things. I have had boxes that include scarves, jewelry, games, high end beauty products (usually full size products), interesting snacks, you name it. I am obsessed with this service. It is a bit of money to shell out, but you will not be disappointed with the goodies you receive and you’ll definitely get your money’s worth. Check it out here! I’m not gonna lie, GlossyBox has been a bit hit or miss for me. Most of the time you get great, high end beauty products but every once in a while I feel like I received a sub-par product. But for the most part it is a great box, but a little spendy at $21 per month. You will get products from some familiar brands as well as new brands you have never heard of. Every box usually includes a combination of cosmetics and skin or hair care products. Plus, I love the fabulous pink boxes your GlossyBox comes in, which can be reused for storage or gift-giving. If you are interested in GlossyBox, check it out here. This entry was posted in Beauty, Hair, Makeup, Nail Art on February 11, 2013 by Heather. It depends on which profile you choose. I got the It Girl box this month and got a lip balm that I looove! Thanks for reading/commenting! YOU just made my life. I’d love to sign up for one of these, and I think I’ll go with birchbox. Do they spam your mail account at all? I know that’ll the concern! Please respond! If you have to pick one, Birchbox is the way to go! Defintely my favorite. They do send email from time to time, but I have never felt like it was excessive. Great article! Im currently signed up for Ipsy and on their waiting list! I am going to review it on my new blog! Thanks for the extra info. I had never heard of some of these! Boxy charm is a box that I loved when i was subscribed. You get anywhere from 4-7 items that are all full size. Sometimes I got hair care treatments and makeup palettes. One time I received a $70 bottle of beauty oil. I was never disappointed with the items I got.